Wh en I walked into McMenamins Kennedy School at 6 pm on the evening of February 12th, a burst of nerves hit me. “Who goes to a Race Talk?” I wondered, as I wandered into the gym. People of all races and classes representing many age groups filled many of the seats around the round tables taking up much of the large room. Each chair had a pile of papers in front of it. 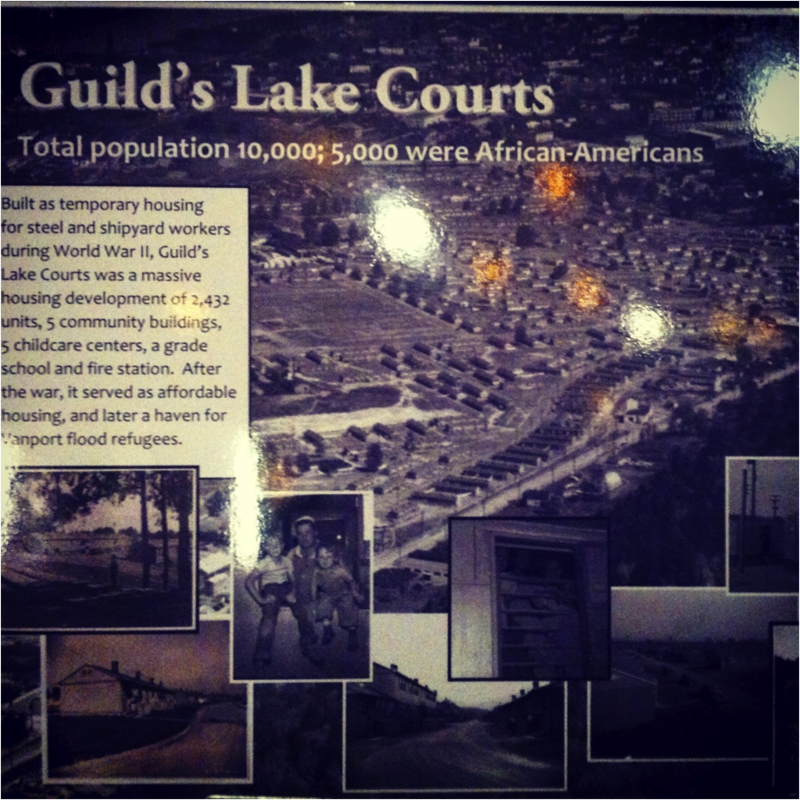 The topic, declared by the pamphlet on top of the papers, “Race & the Housing Crisis” seemed pertinent, both in relation to my personal backyard in North Portland as well as to what we have been discussing in class on segregation in neighborhoods and schools and my own experiences volunteering at Portland Youth Builders. Donna Maxey, the organizer of Race Talks, introduced the panel as I talked to my tablemates, two lawyers, a grass roots activist and several concerned citizens, but the speakers quickly grabbed my attention. The panel varied widely from activists to politicians to lawyers. Moloy Good followed with information on the displacement of minorities from North and North East Portland into the outskirts of South East and North East Portland as well as legal information and hotlines for assistance. The Oregonian, he mentioned, did a four part series called “Locked Out” that describes the unfair housing practices in Portland. Everyone deserves stable housing, the speakers reiterated one after the other, and I thought about all of the students at Portland Youth Builders and how different their lives might have been had they enjoyed the benefits of steady housing. Moloy was followed by Ron Silver, Hon. Jeff Reardon, and Hon. Ellen Rosenblum. After the speakers finished giving us the facts, the digestion of the information resulted in lively conversations during group discussions at each table. A facilitator mediated and then a representative voiced the conclusions to the rest of the attendees. Even though each person responded differently as she voiced her concerns, I noticed that Race Talks had served its purpose of providing a safe place for real dialogues on racial issues in Portland. The second Tuesday of every month, McMenamins Kennedy School host Race Talks with a different topic every month. Here’s the link for the newest listing. Not only did attending Race Talks teach me quite a bit about the history of Portland’s Housing Crisis, it also showed me the power of community when people get together to support important issues affecting all of us. A stable home life, including a stable living situation, is paramount to a child’s success in school and in life. 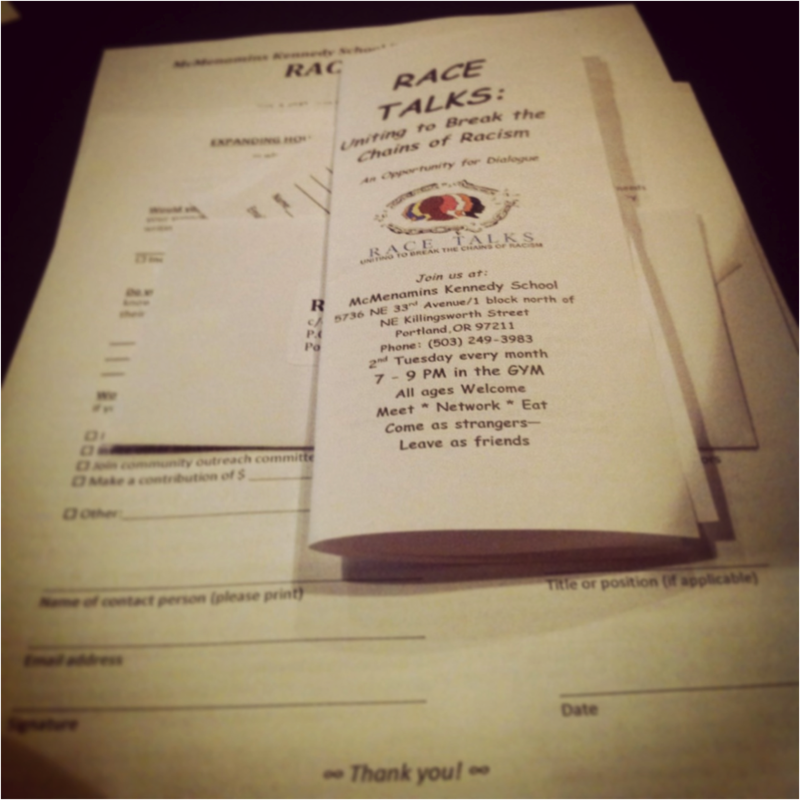 The Race Talk opened my mind, but left many questions, too. How can we, as citizens, promote equal opportunity housing so that children are provided with a chance? Culturally diverse neighborhoods offer many advantages to the people living there – but with gentrification and urban renewal, how do we make sure that neighborhoods welcome all types of people? Would changing the laws help the matter?